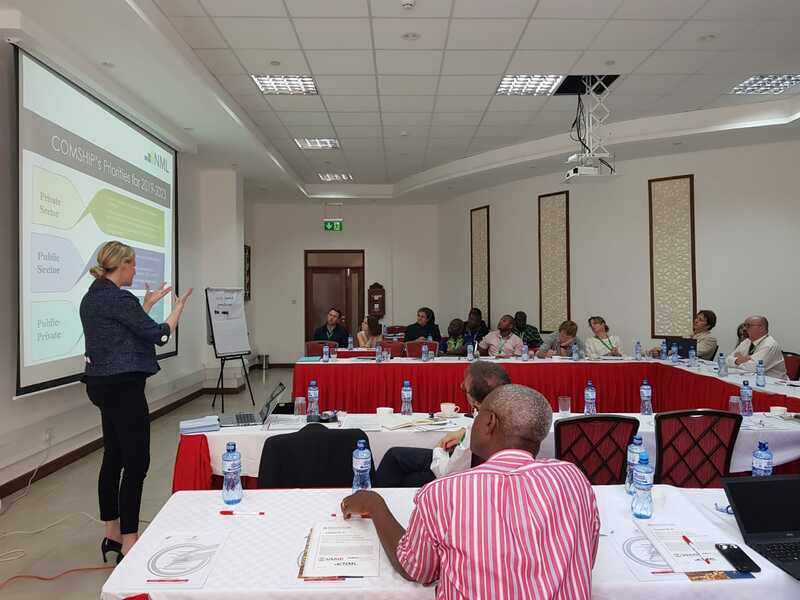 The Syngenta Foundation for Sustainable Agriculture (SFSA), New Markets Lab (NML), and the African Seed Trade Association (AFSTA) co-organized a Seed Policy Workshop during the AFSTA Congress in Mombasa on March 6, 2019. The primary objective of this workshop was to share our perspectives on regionally harmonized seed policy regulations. About 30 people attended, including participants from CGIAR centers, the International Union for the Protection of New Varieties of Plants​ (UPOV), the International Seed Federation (ISF), the African Development Bank (Afdb), the Common Market for Eastern and Southern Africa (COMESA), seed companies, national seed authorities, and seed associations. In the welcome address, Justin Rakotoarisaona, Secretary General of AFSTA, emphasized the importance of regional market integration and harmonized seed systems. He also highlighted the recent development of regional harmonization in the sub-regions such as COMESA and SADC. Dr. Ian Barker, Head of Agricultural Partnerships of SFSA explained why the Syngenta Foundation is interested in improving the seed regulatory enabling environment in Sub-Saharan Africa, as part of the Seeds2B program. He stressed that currently, farmers lack access to both quality seeds and modern varieties and the fact that markets are very fragmented. Seeds2B is designed to improve choice and access to quality seeds of improved varieties of a broader range of crops that farmers need. A good regulatory system, including variety registration and seed certification, will help facilitate the speed of seeds delivery. Dr Yuan Zhou, Head of Agricultural Policy and the China Program of SFSA, presented the current status of regional harmonization in the four regional economic communities (RECs): COMESA, East African Community (EAC), Southern African Development Community (SADC) and Economic Community of West African States (ECOWAS), and what SFSA and NML have done together to facilitate the harmonization processes. She highlighted that the four RECs are in varying stages of harmonizing seed variety release and registration, certification, and SPS measures. The most significant factor affecting implementation is domestication - changes in national level legislation or regulation are required in order for harmonization to take full effect. She gave some highlights from three country case studies and presented SFSA and NML’s joint policy toolbox for regional harmonization. SFSA and NML have also work with seed companies and public breeders to assist them in the practical steps required to navigate regional seed protocols through Regional Test Cases. SFSA and NML have facilitated registration of nearly 30 seed varieties across 7 crops in East Africa, COMESA, and SADC. Going forward, there is a need to highlight country best practices and encourage their adoption more broadly, as well as continuing to work on regional test cases. 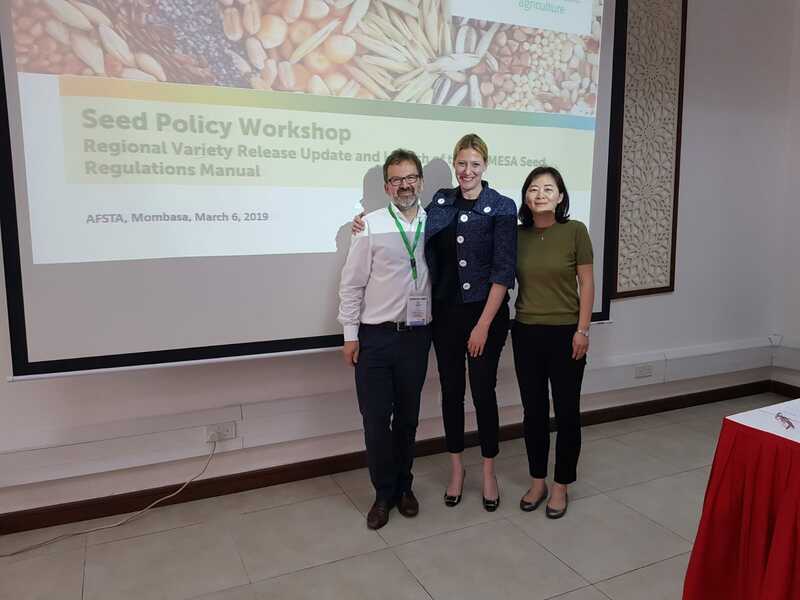 Katrin Kuhlmann, the President of NML, gave a detailed update on the legal and regulatory frameworks for seed in Eastern and Southern Africa. She highlighted that NML has mapped 10 countries’ regulatory systems for variety registration and release across the 4 RECs, which show notable variations in regulatory steps even when aligned with regional rules. The Regional Test Cases NML and SFSA have done been a useful tool for highlighting pressing issues and new developments in regional regulation and its implementation. She then presented interesting findings and comparison between the regional variety registration processes in COMESA and SADC and a graphic representation of the current status of regulatory domestication in the two sub-regions. Finally, Katrin launched and presented the COMESA Regional Seed Regulations Manual. At the end of the workshop, a lively discussion with the participants on a number of subjects took place. Questions were raised about vegetable seed registration and how regional harmonized systems would deal with variety registration tests, especially the test for Distinctness, Uniformity, and Stability (DUS). It seems there is a lack of clarity on how vegetable varieties will be differentiated from field crops in terms of regulation. More work is needed at the regulatory level to deal with the needs of a range of different crops. Moving seeds across borders remains a challenge, even under a harmonized system. Capacity building is required to train border control staff on the use of the regional labels (e.g. COMESA labels), build awareness of regional rules, and improve regulatory systems in practice more broadly. Other comments were related to the regional variety catalogs, including the common catalog of ECOWAS, and the implementation of regional systems. All the presentations and the COMESA Manual can be found here. Syngenta Foundation for Sustainable Agriculture work on policy. Our work on policy aims to improve the enabling environment for smallholder farming and related businesses. Through applied policy-oriented research in agriculture, we put forward options and recommendations for improving policies, laws, and regulations as well as their implementation. We also strive to strengthen policy analytical capacity of stakeholders in Africa and Asia. Please visit the policy page here. Juicy profits on very small fields.